What's up with Cali? Why does she keep changing her gamer tag? It's summertime, and even though his good friend Cali moved to another city, Jaden can connect with her online almost every day to play their favorite game, Cross Ups. His mom has loosened her rules on how often he can play, and he has an amazing new controller that will make him even better at tournaments. But then he gets roped into a dorky summer camp with his buddy Hugh, and Cali starts acting really weird . . . So when a last-minute tournament spot opens up in Cali's city, Jaden jumps at the chance to go. But things go badly from the start. Jaden loses his controller on the train, and his reunion with Cali is awkward. She's unhappy, and Jaden can't figure out why, especially when she's getting better and better at Cross Ups--and may even win the tournament. 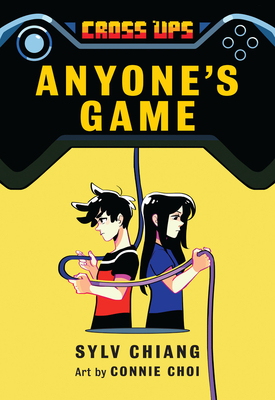 With its sharp dialogue and relatable characters, Anyone's Game, the second book in the Cross Ups series, chronicles the ups and downs of middle school with a relevant, contemporary twist.